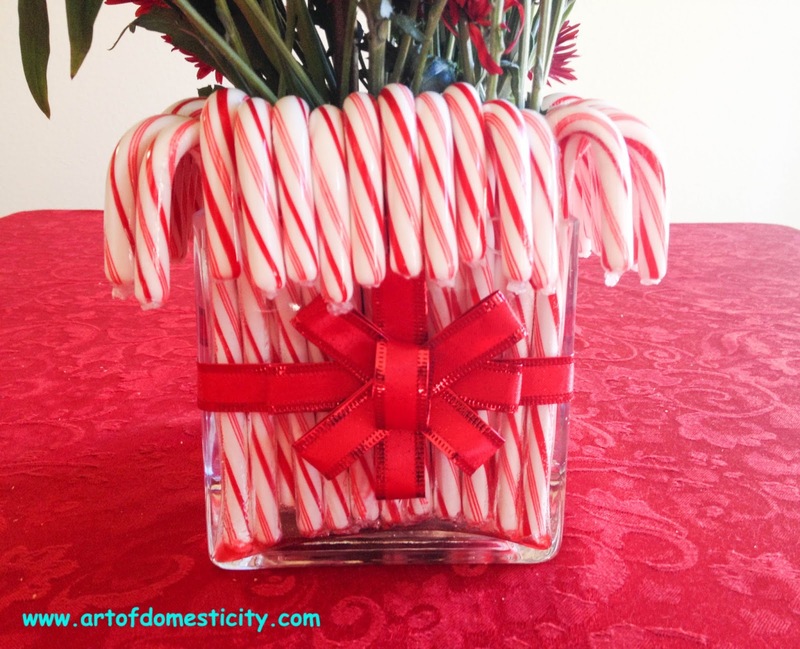 Candy canes are an iconic element at Christmas time. The shape, the classic red and white stripes, the peppermint flavour that is added to everything over the holidays... You can't go anywhere without seeing one these days. 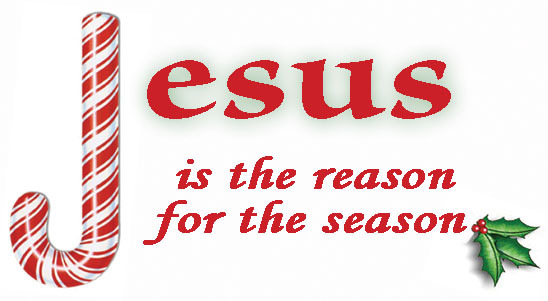 I love the Christian symbolism that helps remind us of the true meaning of Christmas. Have you ever heard this poem? 'Look at the Candy Cane. "J" is for Jesus My Lord, that's for sure! Isn't that a great poem to help teach children about Christ and the reason for the season? So why not use them to make a beautiful and elegant centerpiece for your table? Start with a clear vase, the same height as the candy cane. I used a square vase, but you could easily convert this to other shapes (like circles, ovals, hearts..). 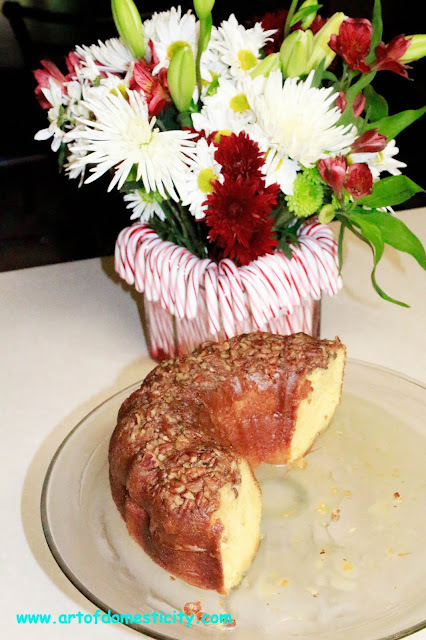 Line it with candy canes, all the way around. Next, wrap a red ribbon around the outside, and tie a big bow. I used a wired ribbon, to help make the bow keep its shape. 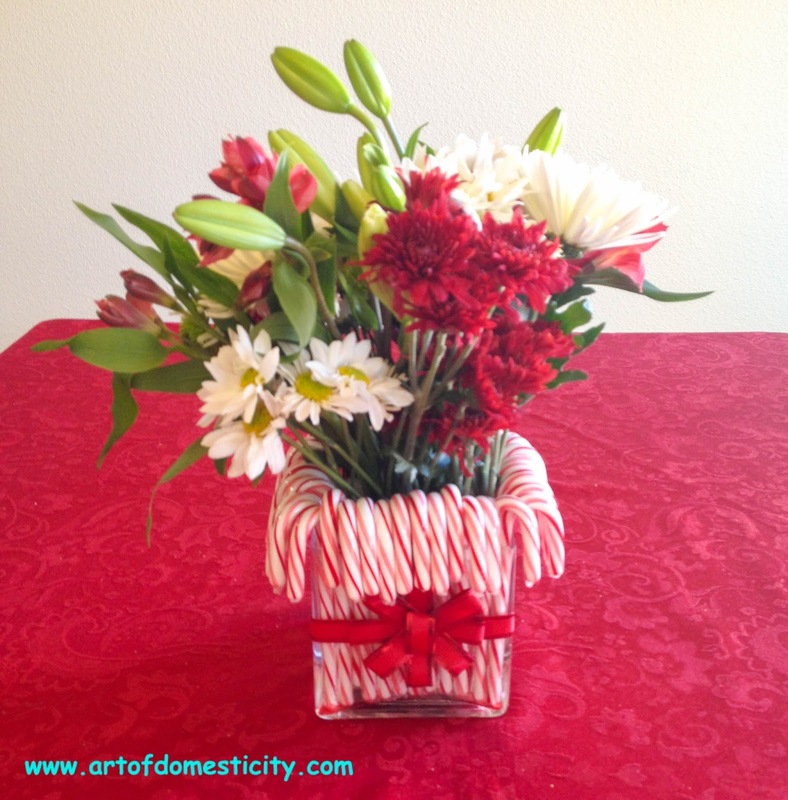 Once the vase is decorated, fill with your favourite Christmas flowers. I find it best to stick with red and white floral with deep greenery. 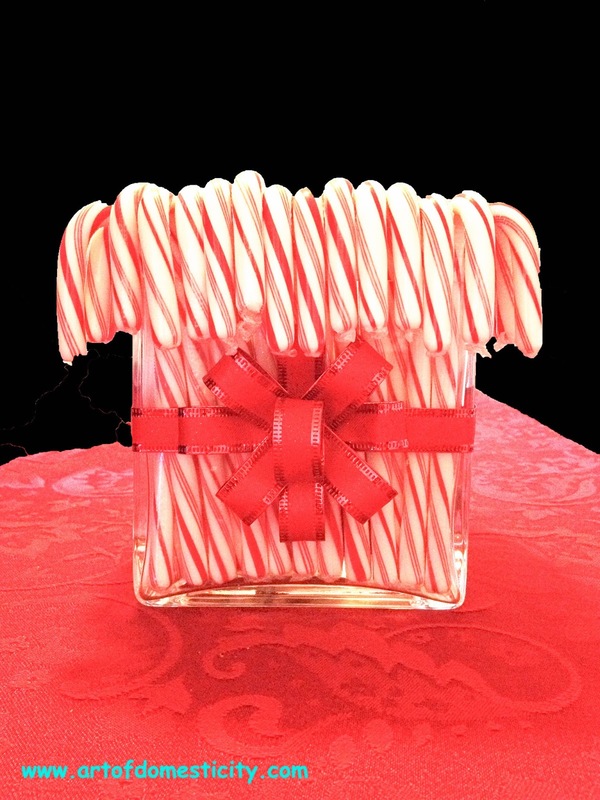 In my opinion, it keeps the colour combination in line with the candy canes, and keeps it on the elegant side.